Besides being one of the finest early harmonica players Gwen Foster was also an excellent guitarist and singer. He played 2nd guitar or back-up guitar on the Tar Heel recordings. Foster used a “rack” to hold his harmonica so he could play guitar at the same time. 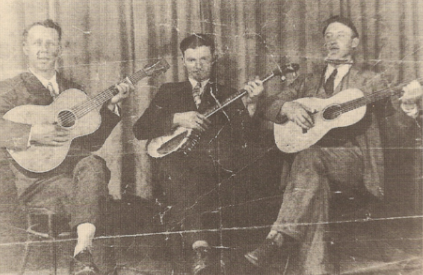 His friend David McCarn (composer of “Cotton Mill Colic” and “Everyday Dirt”) recalled that with his dark skin, and an oriental look to him, Gwen acquired the nickname “China” pronounced “Chinee.” McCarn worked with Foster at the Victory Mill in South Gastonia said Gwen “entertained them when the work slowed down and they thought his French harp (harmonica) was as powerful as a pipe organ. Gwen ruined a flour barrel full of harps by his constant playing” [Archie Green]. Although Gwen Foster was a musical genius, he drank too heavily at times. Tom Ashley would laugh and tell about sobering him up on cider and moonshine before they went to play. Foster was a mill worker like many musicians (Charlie Poole, Henry Whitter) from the Gastonia, NC area. One of the favorite gathering places for Foster and other local musicians was in front of Lackey’s Hardware Store in Old Fort, North Carolina. 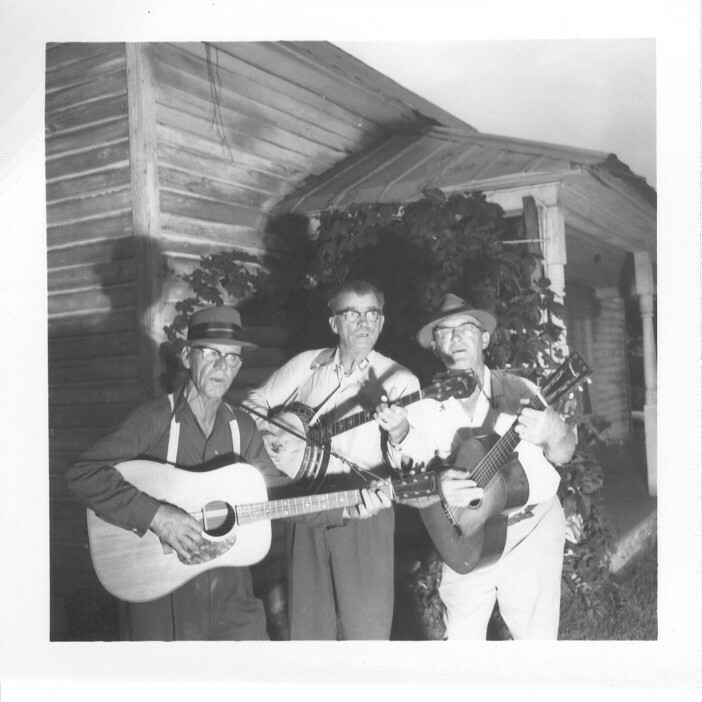 Regulars at Lackey’s were Foster on guitar and harmonica, Clarence Greene on fiddle and Roy Neal on three-finger style banjo. Occasionally, musicians from out of town, like Will Abernathy, who played the autoharp, would join the mob assembled on the front porch of the store. The musicians left a hat out front for bystanders to pitch a penny but never made much money from it.